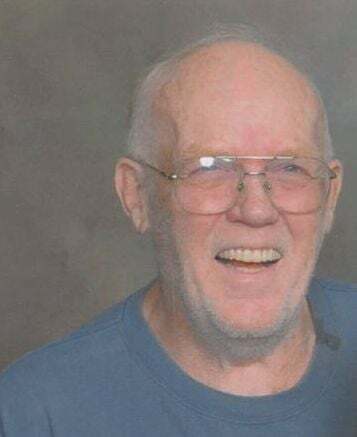 CLINTON — Bobby Gene Ailport, 74, of Clinton, passed away on Friday, April 12, 2019, at Community Medical Center of natural causes. He was born on March 10, 1945, in Missoula, to Glen and Elsie Ailport. As a young boy he lived with his family and attended Clinton Elementary School through eighth grade. As a freshman he had to quit to go to work to help with the family. He loved hunting, fishing and spending time with the family. He worked at Anaconda Forest Products, U.S. Plywood, Champion International and Stimson Lumber at Bonner Mill. He worked there for 45 years as a millwright. On Aug. 10, 1974, he married Joanne Hughes in Missoula. Then the couple lived there where Tammy Jo was born until moving to Clinton in July of 1984. Then twins Billy Lee and Bobbi Lee were born. The highlight of his life was his grandkids Micah Lee, Ashtyn Jane and James Gene, and he truly adored them. Preceding him in death was his father and mother-in-law Julian and Viola Hughes; parents Glenn and Elsie Ailport; brothers Ted, Arthur and Thomas; and sister Marylou, brother-in-law Sam Cooper, niece Glenda Cooper Thiele, sister-in-law Joyce Ailport Maass and nephew Rocky Ailport. Survivors include his wife Joanne, his three kids Tammy Jo, son Billy Lee, Bobbi Lee and son-in-law Christopher Lee; grandkids Micah, Ashtyn, James Gennessa and Alaric; sisters Joanne Long, Roseann Torrance, Nancy (Charlie) Rodgers; brothers Larry (Barbara) Ailport, Timothy Ailport; sister-in-law Jeanette Ailport, brother-in-law George Maass, brother-in-law Jon Hughes, sister-in-law Jeannie Hughes; and several nieces, nephews, cousins and special friends. Visitation will be on Friday, April 19 from 3-4 p.m. at Garden City Funeral Home for family only please. Service will be on Saturday, April 20 at Clinton Community Church at 11 a.m. Instead of flowers the family could use funds to help with funeral costs.